Did Kash Aujla offer to show you ‘For Sale By Owner’ listings? Would you use Kash Aujla again? Reply: I agreed with your comments here, such a unprofessional greedy realtor, has no moral and ethical values at all. Remax Integra should cancel his licence because of his unprofessional attitude. Remax requested to take its franchise back. He's a bad name on Remax. Reply: Highly disagree! He negotiates the commission price for sure! One of the main reasons why I decided to sell with Mr. Aujla is because he tells you directly what he will be charging. 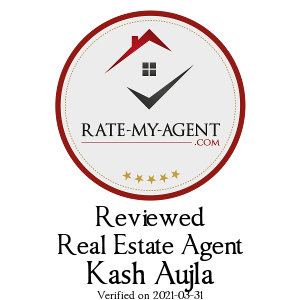 A lot of other agents claim they only take 1% but they hide the truth and actually charge a lot more. Reply: Worst ever realtor found in GTA. No words to explain how worst he and his team is... total greedy and liar team members he has... Always try to do the double ending (both side commission) and make big dollars... Even will sell your house at lower price if he has his own client..... he always does it to make commission from buyer and seller sides.... Audit his 2016 and first quarter of 2017 sales, people would know how many double ending transactions he did. What a low life he and his teams are... keep yourself away from him, his team and his brokerage. Remax is a big name but this unprofessional guy is ruining Remax's name... Get a life Mr. Kash Aujla.... You are like your name, only care about "CASH "
Very good to deal with before you sign up with him. Poor communication. For example, the house was sold and we had to call him to find out. Led us to rent a place for two months when the buyers were willing to go for an extended closing date. He is an aggressive and experienced seller, but seems his only concern is the commission he is going to make. Wouldn't recommend.